Can a Conservatory Have a Solid Roof? A conservatory can have a solid roof, otherwise known as a solid roof conservatory. Solid roofs are the perfect solution for extending the comfort of your home, regardless of the weather outside. What is a Solid Roof Conservatory? A solid roof conservatory is a popular roof choice. It can transform the appearance of your conservatory to feel like more of a classic extension. 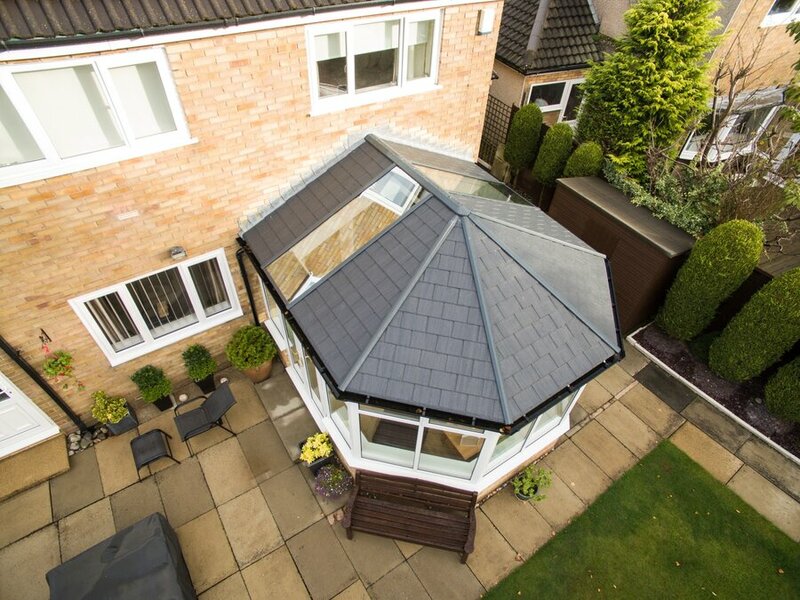 Solid roofs consist of tiles providing your conservatory with additional security. You can make your solid roof bespoke to suit your property colours, by matching the tile style and tone. By using tiles instead of glass, the strength, durability and thermal efficiency of your conservatory increases. Tiled roofs are an alternative to glass or polycarbonate. This provides a solid feel to your conservatory. 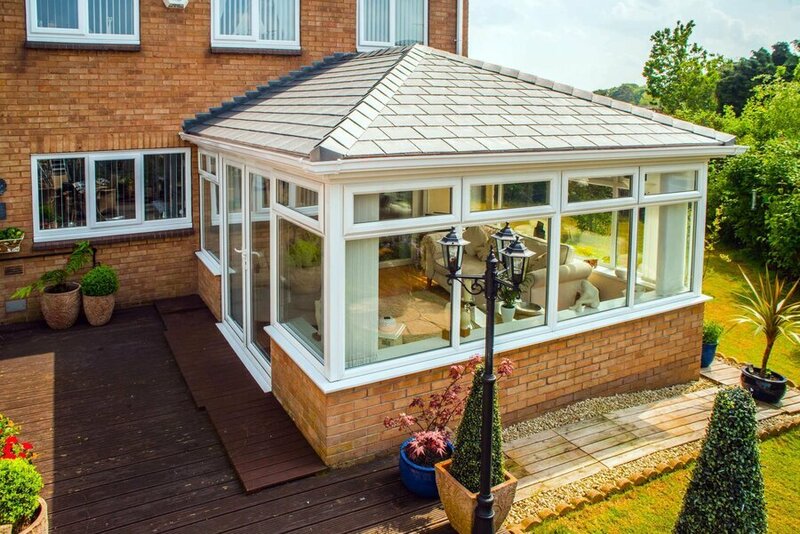 Although glass roofs are usually the most common option, a solid roof can be a more sensible choice all year round. Why Choose a Solid Roof Conservatory over the Alternatives? Why should you choose a solid roof over a glass or polycarbonate roof? You should want a solid roof if you require an additional room in your home that is warmer in the winter and cooler in the summer. There are many great features and benefits of a solid roof, but the main benefits are the weatherproofing, thermal efficiency and high security that a solid roof provides. Although a glass or polycarbonate roof provides their benefits, when it rains, they can be quite disruptive. Whereas a solid roof can give you an all-purpose, all year round investment. There are many features of a solid roof conservatory that make this an excellent roof choice. Solid roof conservatories are insulated to be fully functional all year round. They provide a solid look and feel to your home. Making your conservatory feel more like an additional room. A solid roof offers a sense of cosiness into your home and can help you to feel warmer in the colder months. With a simple installation process, your roof can be installed quickly and efficiently with minimal disruption to your home. Solid roofs are exceptionally energy efficient, allowing your home to have excellent temperature control. With a solid roof, your conservatory will stay cool in the summer and warm in the winter months. The tiles used on a solid roof with their insulating later provides greater insulators when compared with glass. A conservatory with a solid roof is highly durable, providing your home with a higher level of security. This gives your home and family peace of mind for their safety whereas a glazed roof alternative can be more vulnerable to break-ins. A tiled or solid roof cannot be removed from unwanted intruders. With their insulating layers, offering a high level of noise reduction, preventing disruption from outside. A solid roof improves the acoustic qualities of your conservatory, blocking out harsh rays from the sun and traffic noise. With the solid ceiling as opposed to a glass roof, these roofs can reduce the amount of natural light glare that enters your home. Making this an excellent choice for office space, as opposed to a sunroom for the summertime. Can a Conservatory have a Solid Roof Made Bespoke? A solid conservatory roof can be made bespoke. We know that every home is unique, so we have ensured we can suit all our conservatories to your home. We have made it possible to bespoke create your solid roof for your conservatory with tile options, colours and roof lanterns. Customise your tile style to suit the ones on your main property and help your conservatory to blend in with your home. Choose the colour of your tiles to best suit the colour décor of your property. Conservatories and their roofs now come in a vast array of colours, so you are no longer faced with just a white uPVC option. Customise your solid roof further by adding the addition of roof lanterns to your conservatory. Roof lanterns can also be tailored to fit your conservatory and can be specified in either uPVC or aluminium roof lanterns. Lanterns make a stunning statement to your home, providing the feeling of elegance into your conservatory. If you have a conservatory already in place, then you may only need a roof replacement. If you need a roof replacement, it is likely you have noticed draughts or leaks in your roof. 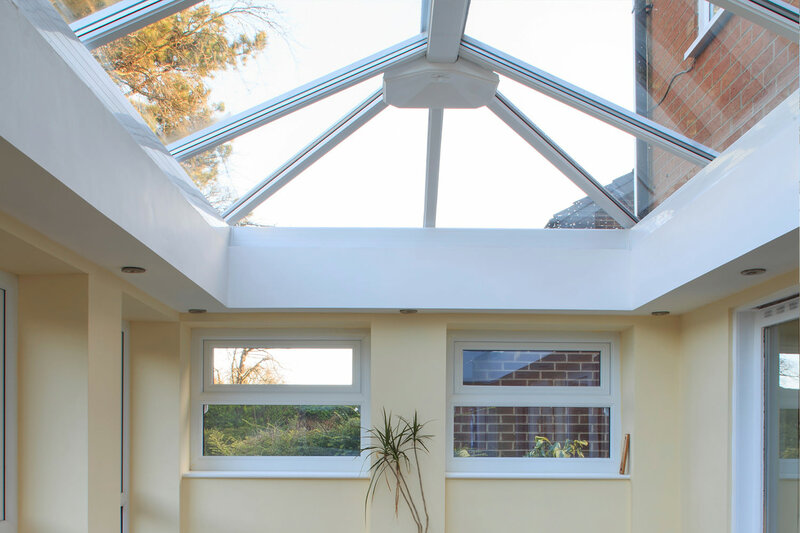 Replacing an ageing conservatory roof with a modernised solid roof can help you to feel at ease that your home will be safe in all months in the year. 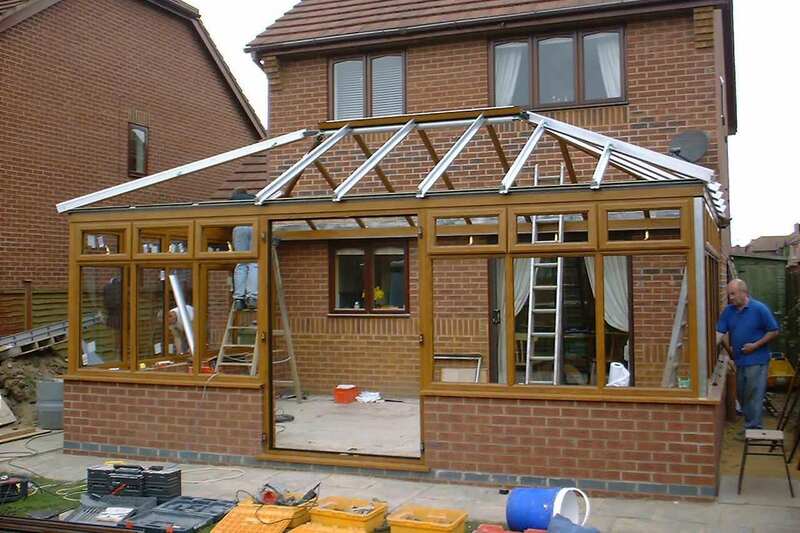 Planning permission is not required for putting a roof on a conservatory as they are permitted development. However, each home is unique, so we strongly advised checking with us or on the Government’s planning portal before going ahead with any conservatory work. Conservatories have limitations on their size and height, and it can’t exceed higher than your property. So, can a conservatory have a solid roof? The answer is yes. Solid roof conservatory prices can range anywhere between £4,000 and £20,000. Find out more about the cost the cost of a solid conservatory roof by contacting us directly. To get your free online conservatory quote, we can put you in touch with trusted local installers in your area. Compare solid roof conservatory prices in your area and get the best deal for you. Most homeowners dream of having a bigger property, that keeps up with the contemporary feel of your existing home. But extending your home is quite an investment to make if you aren’t 100% on the style you desire. With our conservatory buying guide, we can take you through designs, building regulations and planning permission. When it comes to deciding which conservatory to choose, there are many options, so we have included everything there is to know. Read our conservatory buyers guide and then start your online quote with us today.